Staying organized can make your freezer feel bigger and we want to help! Follow these steps and learn how to organize your freezer and maximize your storage space. Freezers are perfect for so many things, from meal prep to sweet treats. With all that we use them for, sometimes it can feel like you don’t have enough room. Staying organized can go a long way in making your freezer feel bigger. These simple tips will teach you how to organize your freezer! Freezers can be a lifesaver! Whether you are storing food items for later, keeping ready to go meals on hand, or ice cream for a sweet treat, it can feel like there’s never enough room in your freezer. Whether you have a side-by-side, drawer, or even a chest deep freezer that needs organizing, we’ve got you covered! These nine tips to organize your freezer will help you get organized, and help you get to all your freezer items quickly. Follow these steps and learn how to organize your freezer and find more space. Before even thinking about new ways to store things, you need to clean and take inventory. Set aside time to pull everything out of your freezer and clean it. A clean start makes all the difference going forward. Once it’s clean, check the expiration dates and packaging on everything you have. If it’s expired or the packaging seal is damaged, you should evaluate and dispose of any items you won’t use. Staying organized will keep things in their place, eliminating the freezer clutter. Many frozen items are in a plastic bag inside a larger box. Take everything out of their boxes to cut down on the amount of space needed. If you need cooking instructions off of the box, try cutting them out with scissors and stapling them to the edge of the inside plastic bags. Be careful not to puncture the area where the food is, as this would compromise the seal of the bag. If you prefer, label the bags with a sharpie and keep the cooking instructions in a folder near your freezer! This way you will save space, don’t need to worry about breaking the seal on the bag, and still can reference the directions any time you need. Have you ever played Tetris? If you haven’t, just know that the shape of things you’re stacking matters! By taking your meals and flattening them out as much as possible before freezing, you can stack them like thin bricks. 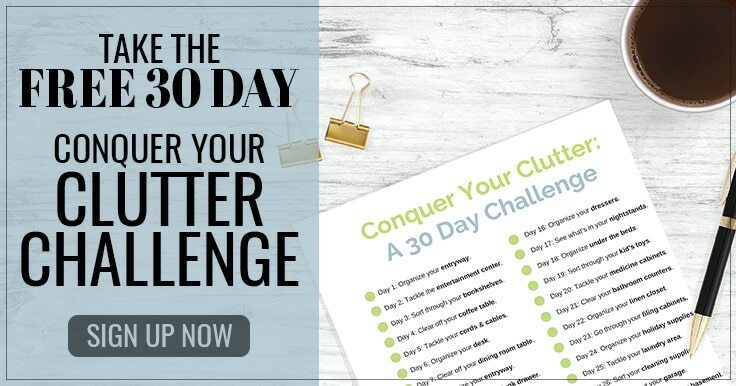 This will allow you to fit more in the same amount of space, make it easier to know exactly what you have, and help make sure things don’t get lost in the back for months. Just look at how many meals Creative Mary’s Home was able to fit in one box by flattening them before putting them away. Take the air out of your Ziploc bags by either using a vacuum sealer or flattening the items before storing them in your freezer. This will help you save on space, and allow you to stack items. Before you start putting things back into your freezer, make sure you have a solid plan of where you want things to go. The last thing you want to do is be stuck with everything out on the counter warming up trying to figure out where to put things, so plan it out. Everybody’s freezer is laid out differently, so you’ll want to plan based on your particular appliance. Generally, take the categories you made earlier and start there. Something as simple as desserts on one side, prepared meals on the other, and ingredients separating them can be a great place to start. 5. Use Storage Bins in Your Freezer! Magazine files, bins, and other storage items are great for keeping your freezer organized. Don’t be afraid to put some of your bins into the freezer to keep items together. Use magazine files to store those items you flattened, use storage bins to keep all of your frozen vegetables together, and even smaller bins for small individual sized items you’ve frozen. To make sure you don’t lose things in your freezer, keep a running inventory of what you have in the freezer. You don’t have to update it every time you take something out, but when you are about to meal plan, you should update it to make sure you know what you have on hand. Keeping an inventory will make sure you regularly cycle through the items you have, and you’ll know if you have room for more items before you head to the store. It might sound weird to talk about cleaning when organizing a freezer, but this is an extremely important step. If your freezer has spills that have stuck to the freezer surfaces, it will make for uneven surfaces and cause your bins and food items to stick to the freezer. To avoid this from happening, make sure your items are properly sealed, and clean your freezer often. Instead of trying to work around the shelves in your freezer, consider taking them out completely! This can leave you more room for stacking bins, bags, and other storage items to better organize the items in your freezer. If you take out the shelving, make sure that you can still access things easily when putting items back into your freezer. If you still want to shelve your items, consider putting in new shelving that will better fit your needs. If you are going to use bins, create labels that are easy to read so you know what is inside. If you have a chest freezer, you can use reusable grocery bags to store like items. And then use these handy tags to label what’s inside. We may not always appreciate the value of our freezers, but we will always notice when there’s just not enough space. 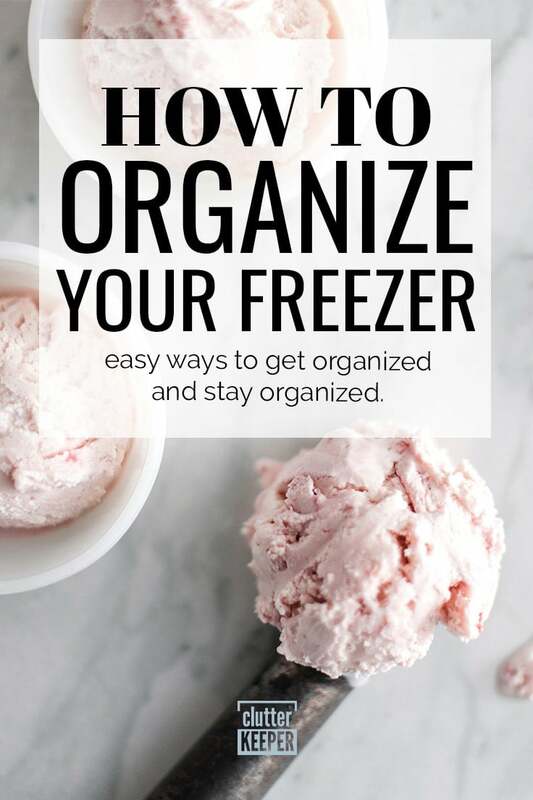 These tips will help you get organized and stay organized when it comes to your frozen food storage, making your freezer use a lot easier and more enjoyable. Organizing your freezer doesn’t need to take a lot of time or effort. If you give any of these methods a try, you’ll have an organized freezer in just a matter of minutes! Simple Steps to a Clean and Organized Refrigerator – Now that you have an organized freezer, let’s organize the refrigerator. Kitchen Pantry Organization – In just 6 simple steps, you’ll have an organized pantry too. Kitchen Organization: A Complete Guide – This is everything you need, from start to finish, to organize your kitchen.